The former connection between connoisseurship and class distinction is to an extent, still existent. But the trend analyses indicate a sharp turn-around in the form of connoisseurship: the new symbol of high status in a market governed by luxury that is available to the masses is blatant non-consumption, by which the super-rich might be identified. As David Brooks describes in his book Bobos in Paradise, the rich wear scruffy clothes and drive run-down cars. Celebrities sport clothing lines such as Von Dutch, the idea being that only the very rich or very pretty are able to pull-off trucker–style caps and tops, and still manage to look good. So the new message seems to be that the rich have more money than they know how to spend: welcome to paradoxical luxury in the modern world. 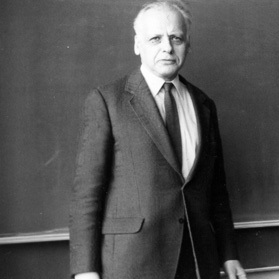 Martin Löb, master of philosophy and mathematics has died. Löb is known for his famous ‘green cheese’ paradox. Laurie Taylor’s ‘Thinking Allowed’ is a constant source of stimulus. Today Professor Taylor will be talking to three social scientists, each of whom in their different ways, want to argue that the emphasis on change–not just by politicians and management consultants but also by social scientists themselves–obscures the importance of continuity. Simply delicious. Laurie’s point is that our commitment to the myth of change actually prevents change…wedded as we are to the an equal and opposite, but suppressed commitment to continuity. Change requires us to affect alterations in the underlying ways that we create and then re-assimilate meaning. In the language of Zen we must change deep structure, as well as surface form. Tony Manning, former head of the Institute of Directors in South Africa, points out the benefits of identifying and undestanding paradoxes as a means of creating competitive advantage. He advises “Begin by listing the paradoxes you face right now. Then rank them according to the impact they have on your business. Finally, involve your team in thinking about how to embrace them, to “do this and that” at the same time. This can have a profound impact on your performance. For if you manage to get your arms around tricky paradoxes while your competitors are befuddled by them, you obviously gain the edge. Working them through demands an effective analytical and transformation process. No paradox can be resolved in isolation from personal change. The critical element is not to create false dichotomies, but to surface the genuine paradoxes that are stultifying progress, and focus on the counter-productive ‘coping’ behaviours which result from them. The growth of masstige products is a well attested phenomenon–bringing luxury goods within reach of the hoi poloi. Porsche boxter, mercedes c class, jaguar x-type… the list is endless. Edwin Collyer makes a really good summary of the phenomenon, over at brandchannel quoting a variety of experts…. bq. There always has to be some sense of scarcity and being out of reach. Yes, you can buy a Mercedes for $30,000 or so, but the really cool one that you dream about is there next to it on the floor for $100,000…. It depends how well you can tier your offerings and reserve a special place for the true luxury consumer. This is a typical problem with all masstige conversations. They tend to focus obsessively on the price of an item at the lever of luxuriousness, when price is just one facet of their exclusivity (you can add scarcity, sparse distribution, sourcing difficulty to this list). Exclusivity itself is just a tiny facet of luxury, and is primarily appealing to challenge-seekers, who find self-esteem in achieving their goals. This sort of price-centred analysis fails on two levels. At a basic level it fails to acknowledge the alternative unity-seeking motivation of luxury, but also, at a much deeper level, it fails to recognise that ALL luxury is personal and relative. The masstige conversation falls headlong into the trap of seller-centric thinking, believing that producers can be manufactured. As Collyer says, Luxury can be a cream cake instead of a sponge. Luxury starts well before the purchase, and ends only when memory fails. The paradox here is that luxury is both utterly universal and entirely individual.